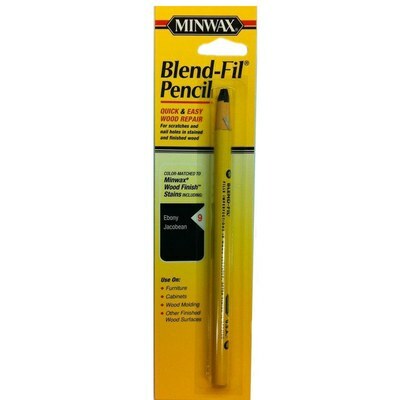 The Minwax Blend-Fil Pencil is the prefect way to hide any small visible scratches or dings in your kitchen cabinets or bathroom vanities. The pencil is versatile and easy to use. The affordability makes it even more appealing. Since the pencil uses a special formula that will blend with almost all wood colors it is a must have around the house. It will even work on your existing furniture or cabinets.